Americans drink a lot of coffee. 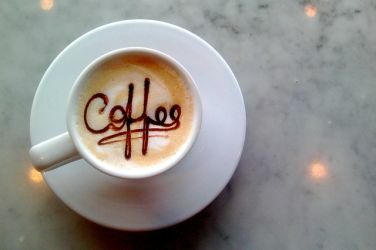 According to a 2013 research on the top 50 coffee consuming countries in the world, the U.S. consumes 3.1 kg per capita. That means on average, each person drinks over 6 lbs. of coffee a year. While that’s still a ways off from the top 4 coffee drinking countries, which all consume over 6 kg per capita, it’s still a lot. The simple answer to this is yes, it does. This is why it is important to know how much coffee you are consuming. Plus, any other food items or beverages that may also contain caffeine. These include tea as well as some other hidden caffeine sources. Caffeine, when consumed in moderation is okay when you are breastfeeding. But, it is crucial not to overdo it. Before going any further into the topic, one of the most important things for pregnant women and nursing mothers to always remember is that what they eat or drink is passed on to their child. This is true when you’re pregnant as your baby gets its nutrition from what you eat and drink. It’s also a similar concept with breast milk. This is because the ingredients from food and liquids you’ve consumed are passed through the milk to your child. Caffeine consumed through coffee or other food sources makes its way to your bloodstream. 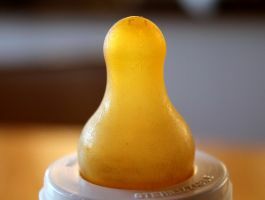 This in turn allows it to get into breast milk, albeit only a small amount of it. The good news is only about 1 percent or so end up in the milk. Another important factor to note is timing. The level of caffeine in your body reaches its peak about 2 hours after consumption. So, that’s the least ideal time to nurse your child. A better option is to wait it out and let the caffeine get out of your bloodstream first. For this reason, drinking a few cups of coffee daily is deemed safe for breastfeeding mothers. Many women worry that drinking too much coffee when they are breastfeeding can have a negative effect on their baby. They may be worried that there may be caffeine in the milk that their baby is ingesting. However, while caffeine does get passed through breast milk, it isn’t as big a worry as some would believe. This is unless you drink a lot of coffee. So far, there is little evidence which shows that babies will be harmed in any way by consuming caffeine through breast milk. There is also no evidence that your milk supply will be reduced if you consume caffeine. The reason is that less than one percent of the caffeine that is eaten and drunk by a nursing mother will end up in their breast milk. For this to have any effect on your baby you would have to drink a substantial amount of coffee throughout the day. As mentioned earlier, the caffeine will be strongest in your breast milk one to two hours after you have consumed it. So, if you can time your drinks around your baby’s feeding schedule, then you can reduce the amount of caffeine even further. It is important to note however, that newborns are very sensitive to caffeine. At their very early age, it takes their small bodies a very long time to process caffeine. This sums up to around 160 hours. As they grow bigger however, this improves, going down to just 2 to 3 hours by the time they are 6 months old. How Much Coffee Can You Drink When Breastfeeding? There is a small degree of differing opinion on how many cups of coffee you should be drinking on a daily basis. The general consensus is that anything between three and five cups of coffee can be drunk each day without having any effect on your breast milk. There are other sources of caffeine in other food and drinks as well such as tea and chocolate. So, if you are drinking a lot of coffee in a day then you may want to watch the other things that you are eating and drinking. Some women do try to cut down on their caffeine intake after they have had a baby. There are other health benefits that reducing caffeine in the diet can bring. You may find it easier to sleep especially if you cut down on the amount of caffeine that you drink before you go to bed. If you do decide that you want to consume less caffeine in your diet then you should cut down on this gradually rather than stopping altogether as this can lead to other problems such as headaches. If you have recently had a baby and still enjoy a cup of coffee, then there is no reason why you should have to remove caffeine from your diet completely. The one surefire way to know if you’re drinking too much caffeine is to observe your baby’s behavior. Due to their sensitivity to caffeine, babies will show some symptoms when they’ve gotten too much of it. These include poor ability to sleep, being jittery and unhappy. If your baby does seem restless after feeding, then you can try and cut back on the amount of caffeine that you consume and see if this makes a difference to your baby. It can take a few weeks for the caffeine that is in your system to get out completely so give it some time.